Wooden arch, made in Quebec, from recycled wood. 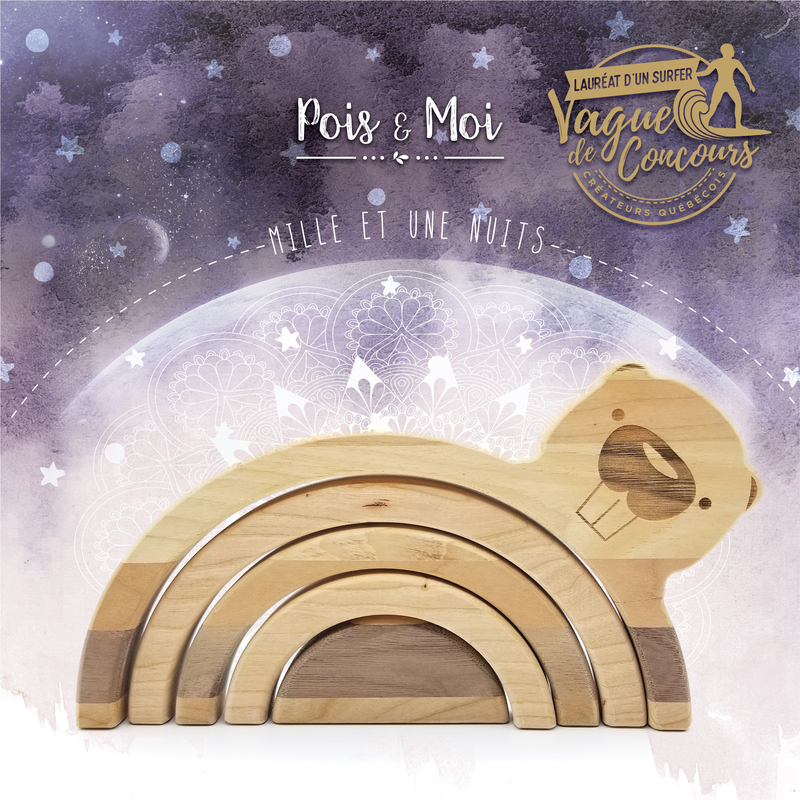 Rainbow perfectly complements our Pois & Moi toy collection. Your child can have fun creating bridges with shapes, stack them, from top to bottom, and assemble them in order of size. 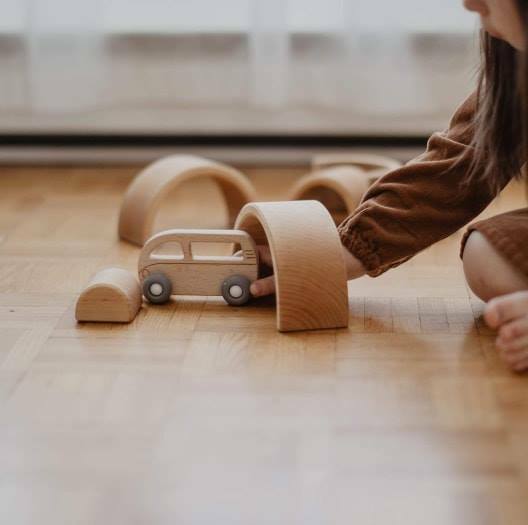 This toy is similar to Montessori pedagogy, allowing children to use it with imagination, according to their stage of development, their interest, their rhythm.